I thank you for this post on etiquette. I operated a Tea Room and Finishing School in Seattle many years ago. 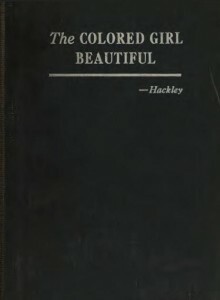 My focus was on the Victorian society and engaging people of color. I would have loved to have these two books to share. Like you mentioned the books really cater to all people who are interested in polishing their social behavior. After reading Bernard Berenson’s life story I also found Belle Green which you posted about. As a previous journalist, poet and story teller thank you for sharing this valuable information on your site. Your site is valuable and provides great detail. Thank you for wonderful post from Belle Green to poets to etiquette. Thank you for this timely article. Next month, I will be addressing the subject of good old fashion etiquette to a small troop of Girl Scouts. Thank you Lady Estelle! I hope your talk goes well. Where’s the manual for white people on how to be polite to black people? Very interesting! Anything on etiquette of the period is fascinating. I found the second book in only 5 libraries. I am curious to check them out! Hi Lauren! 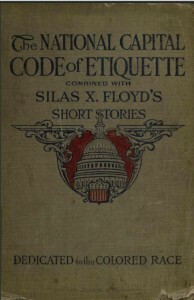 Click the book titles to go to digitized versions of these etiquette manuals.